Warning: sadly taken with an iPhone, see below post! 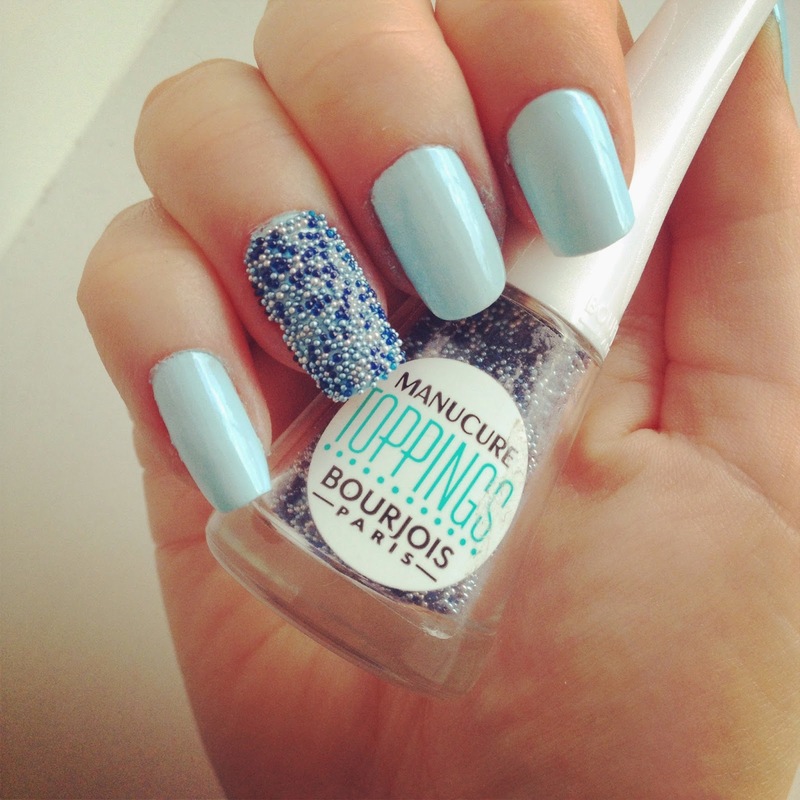 First time trying Bourjois Paris toppings and coupled with Essie – Mint Candy Apple, it definitely works together! I can’t stop touching the beads they are really cool. they lasted pretty well too without any glue! My flatmates did good with this as a birthday present! They also got me the pinky coloured one too, so I will be trying that very soon. I wonder if anyone has made a pattern with their beads? I might give it a go. 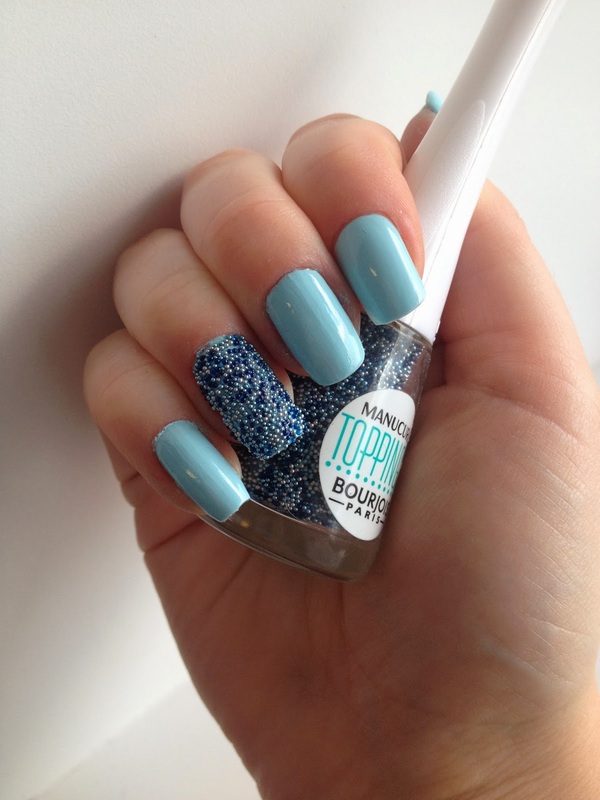 florals coming up soon – spring is finally here!